A simple dinner like Baked Chicken Drumsticks straight from the oven sprinkled with a squeeze of lime and served with a salad makes me satisfied. 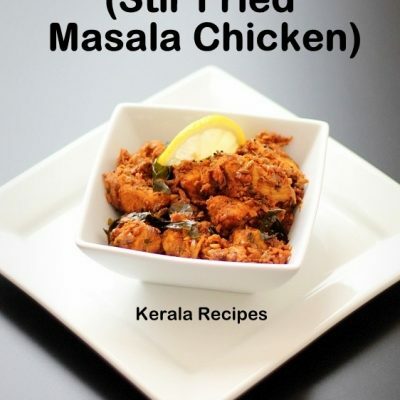 I have made Breaded Chicken Drumsticks a few times and liked it. 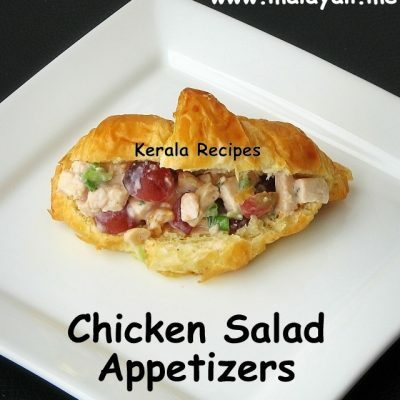 I was searching for good recipes using Chicken Drumsticks and landed on this page. 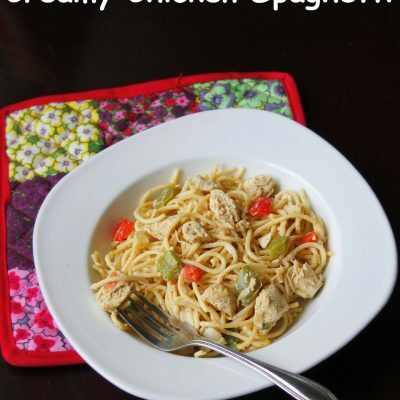 The recipe looked simple and I decided to give it a try with whatever ingredients I had in my kitchen. I adapted the recipe to make a dry preparation and it came out well. 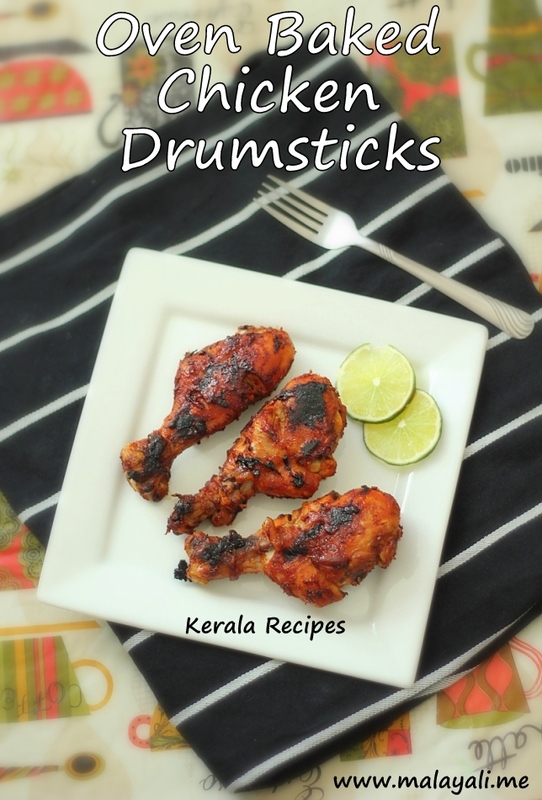 Hubby liked these Sweet and Spicy Chicken Drumsticks and kept telling how delicious it tasted. 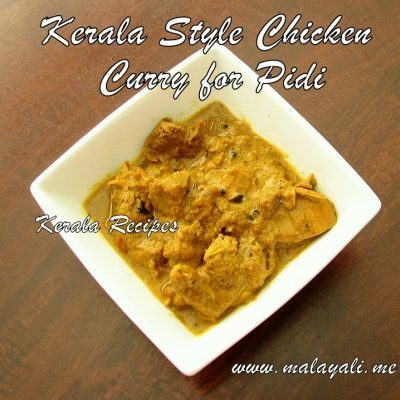 It tasted better than Barbeque Chicken or at least at par with it specially with all the brown charred spots! 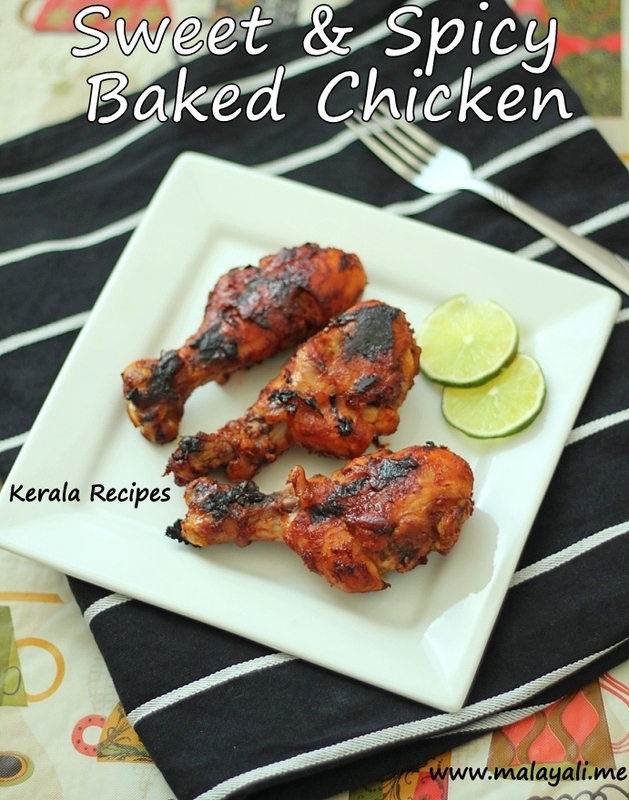 Next time, I would like to try Baked Tandoori Style Chicken. Sounds so yummy! I am drooling thinking about it. Wash and clean the drumsticks. Wipe with a paper towel and make 2-3 deep slits on each drumstick. Prepare a marinade using the above ingredients. Apply the marinade liberally on the drumsticks. Reserve whatever remaining marinade you have for basting the chicken. Refrigerate for at least half and hour or up to 4 hours. Preheat oven to 350 degree Fahrenheit. Line a baking tray with foil (for easier cleaning). Place the chicken drumsticks on the tray making sure that the pieces don’t touch each other. Place the tray on the middle rack and bake uncovered for 30 minutes. Remove tray from oven. 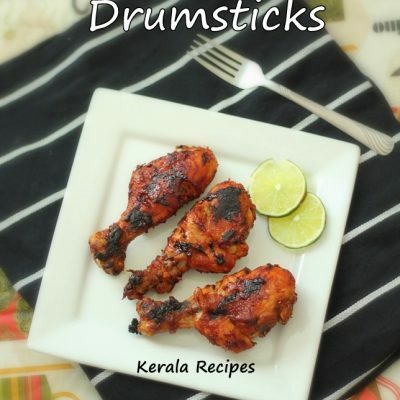 Flip each drumstick. Apply more marinade on the chicken using a brush. Bake for another 20 minutes. Remove from oven. Flip the pieces and apply marinade one more time. Bake for 10 more minutes. Change the oven setting to Broil. Broil the Chicken for a minute so that it begins to brown. Keep an eye or else the Chicken will turn to Charcoal. Allow the chicken to sit for 15 minutes before serving. Sprinkle lime juice just before serving. You can also use 1 tsp each of fresh garlic and onion paste if you don’t have the dried powders.